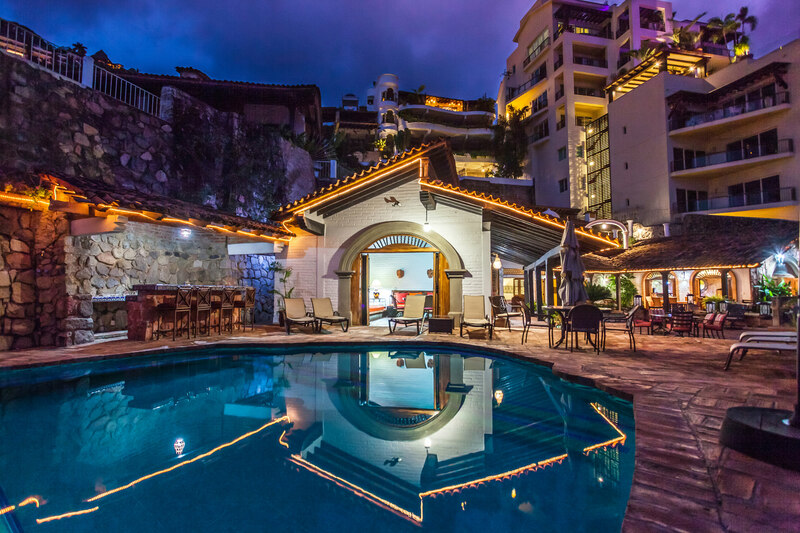 A spectacular Tuscan style villa set in a private walled estate with lush tropical gardens, just a short walk down the hill to Puerto Vallarta’s best gourmet restaurants, nightlife and shopping as well as the very popular Los Muertos Beach. 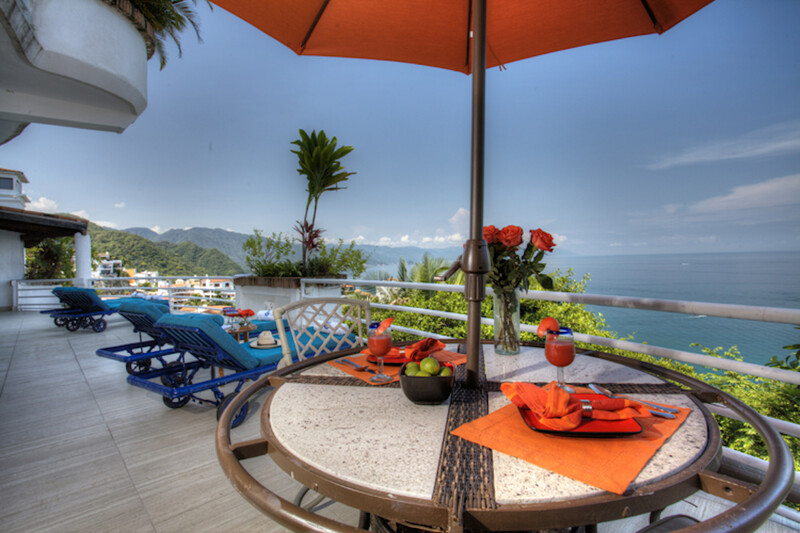 This spectacular private home may be rented with 4 or 5 bedrooms. The open concept living /dining area & gourmet kitchen flow onto the pool terrace with outside dining area becoming the focus of the house with breathtaking views of town and the bay. This historic property has been renovated and redecorated providing old world charm without neglecting modern comforts such as wireless internet service, ipod capability and much more. Other architectural details include floating basins in the bathrooms, mosaic tiles and Palapa roofs. The unique ethnic décor adds to the mystique. The master bedroom features a large sitting area and an impressive bathroom with a huge tub with jets. Enter up a stately driveway into a vaulted entrance up a flight of stairs to the main level. Bedroom 1: King bed, spacious Palapa covered terrace with full bath with shower across the hall Bedroom 2: King bed or 2 singles Beds, terrace looking to town and hills, full bath with shower across the hall. Master Bedroom: king size bed, panoramic views of town, large en suite bath with Spa tub; shower and walk in closet. The 5th bedroom is a private hideaway down from the main level, w king bed, private bath with Hot tub and covered private terrace.